Unit 3: We're Not Gonna Take It! 1. I can define the items in the Lesson Module 15 Toolbox. 2. I can describe the oppressed groups of the Gilded Age. 3. I can explain who Progressives were and why they stood up against oppression. The Gilded Age was a time of incredible inventions and innovations. It was a time when immigrants poured into the United States. These things combined had made the U.S. a world industrial power. But the U.S. had many problems. Soon brave men and women known as Progressives would address America's problems. Problems such as government corruption; political machines; and unfair treatment of African-Americans, Native Americans, immigrants, children, women, and workers. These brave men and women also addressed the rights of the poor, the right to the truth, and protection of the consumer and the environment. They stood up for the oppressed. It was not an easy fight. These brave men and women won this fight. Because of them we can enjoy equal rights and fair treatment under the law today. As industry in America grew, urbanization occurred. Urbanization is when large numbers of people migrate or immigrate to a city and the city becomes larger and larger. Industrialization, or the time in which the U.S. moved from a farming nation to an nation of industry, had led to urbanization. Industries needed great amounts of people to work for them. African Americans from the south migrated North in hopes of equal treatment. Immigrants came from many countries for a better life and more opportunities. These people poured into the cities. As they did, tenement homes were built quickly and poorly and rented out to tenants by slum landlords. Slum neighborhoods developed in poor and overcrowded sections of towns. The poor suffered from illness, hunger, cold, and terrible living conditions. They had to deal with political machines and criminals of all kinds. Working conditions were not much better. Factory workers worked long 10 to 12 hour days in horrible conditions for low pay. If you got sick of it and quit, there were ten workers begging for your job, willing to replace you. Employers did not care for their workers. Workers got no compensation for being hurt on the job and employers did nothing to try to keep workers safe. They employed children and women at much lower wages than men. Children were not given any special treatment. They were expected to work adult machinery for the same amount of hours as an adult. If a child was hurt on the job, they were immediately fired and replaced. Many factory working families relied on their children's income, as little as it was, for survival. The unsafe working conditions in which children worked were not only unsafe for children but for the consumer as well. At this time, there was no federal organization that inspected the packaging and safety of our processed foods. Food products that were improperly handled or packaged made the consumers who bought them sick and sometimes caused death. Because the urban poor were the major purchasers of processed foods, they were the primary group who suffered the illnesses this food caused. As living and working conditions became worse, there were many women who had great ideas about how to help the urban poor. Unfortunately, women still did not have the right to vote. A country founded on democracy still denied half of its population suffrage. After a woman was married, anything that she owned or inherited was the property of her husband. She could not get a college education or sign contracts. But women were not the only ones left out of voting and treated unfairly. African American males had been given the right to vote after the Civil War with the passing of the 15th Amendment. But whites in power in the South after the Civil War created Jim Crow Laws. These laws prevented African Americans from voting in legal ways. For example, white leaders in the South began charging a tax at the voting polls. This tax was not charged to raise money. These men knew that blacks were too poor to afford the tax. The tax was a legal way to keep African American men from voting and gaining any political power. Racism was not just a problem in the South, but in the North too. In the North, immigrants faced discrimination. Many Americans blamed the problems of urbanization and the problems with the economy on immigrants who had moved to the U.S. They felt these immigrants who were eager to find jobs were taking away jobs from American born workers and making it difficult to organize strikes. These immigrants also brought unfamiliar religious faiths with them. This scared many Americans so they treated those with other faiths; such as Catholics and Jews with extreme hostility. Picture Above: Irish Immigrants were mostly Catholic. The above sign not only showed ethnic discrimination but religious discrimination too. 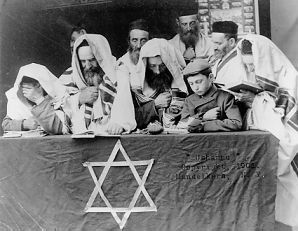 Picture to the Right: The Jewish religion scared the Protestant majority who had never encountered people of other faiths. Racism was a problem during this time, but greed was the main reason for most of the suffering of the Gilded Age. Rich industrialists like Rockefeller and Carnegie did what ever they wanted to make themselves richer no matter how their actions affected anyone else. They bought up large areas of beautiful American land and ripped it of its natural resources for profit. These "Robber Barons" were able to rise to the top through dishonesty. Working Americans were angry. They wanted the true nature of these industrialists to be made known. And they wanted these industrialists to pay for their cruel treatment of the working class and their violation of the environment. 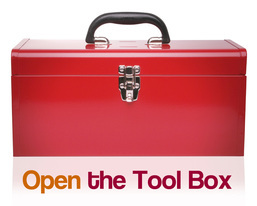 Remember, anything in the Tool Box could be on the Topic 2 test! Political Machines: a group that provided help for the poor and jobs in exchange for votes. Progressives: people who believed that the problems society faced such as poverty, violence, greed, racism, and class could best be addressed by providing good education, a safe environment, and an efficient workplace. They lived mainly in the cities, were college educated, and believed that government could be a tool for change. They worked actively in the slums and with the poor to help them rise out of poverty. They concentrated on exposing the evils of corporate greed, combating fear of immigrants, and urging Americans to think hard about what democracy meant. They also encouraged Americans to register to vote and fight political corruption. The progressive era in the united states was a period of social activism and political reform that flourished from the 1890s to the 1920s. * Look under People to Know - Progressives - to see more of what people did during the Progressive Era. Women's Suffrage Movement: the campaign to earn women the right to vote that picked up in the Gilded Age, was the center of heated arguments in the Progressive Era, and was finally achieved with the 19th Amendment in August of 1919. 15th Amendment: an Amendment to the Constitution that guaranteed Americans the right to vote regardless of race, color, or class. It is known as the Amendment that gave African American men the right to vote. It was not long before these mistreated people grew angry and fed up. Soon they used this anger as fuel to protest this mistreatment. They stood up against those who attempted to keep them down. They screamed, "We're Not Gonna Take It, Anymore!" ... And they didn't! These people were Progressives. The next lessons are their stories. We take notes so that you can get the knowledge you need to meet our lesson. You get points for taking notes because you are showing that you can pick out the main ideas and important details of what you have read. We discuss the text to make sure you understand the main ideas and important details. We do it in groups so that you have a chance to gain knowledge and understanding from others. You get points for discussion questions because you are showing that you can understand the main ideas and important details of what you have read and you can build upon your knowledge and understanding from others. We do polls and surveys to check our own understandings of the main ideas and important details. We do it in groups so that you have a chance to gain knowledge and understanding from others. You get points for polls and surveys because you are showing that you can understand the main ideas and important details of what you have read and check the level in which you understand compared to others. On the polls, some of the groups will be obvious. Other groups you will need to make inferences or educated guesses. By the end of the unit, you will know them all. We were men, women, and children laboring in unsafe factories for long hours and low pay. We were not compensated for job injuries. Who are We? We lived in America - the country known for freedom - and yet we were denied the right to vote, get a college education, or own property. Who are We? The Fifteenth Amendment specifically gave us the right to vote, yet leaders set up Jim Crow Laws to deny us rights and keep us from voting. Who Are We? We made people aware of the social problems in America and worked to correct these problems. Who Are We? We lived in overcrowded slums in tenements with terrible living conditions. We had to deal with political machines and criminals with all kinds. Who Are We? We were greedy industrialists who gained our fortunes using dishonesty and showing little regard for our employees or the environment. Who are We? We moved to America with a dream of living peacefully and earning a living, but instead faced discrimination and hostility. Who are We? People forced us from our homelands, robbed us of our culture, and murdered our people. We were forced to assimilate or live on a reservation. Who are We? We were the people of small island countries who America felt should be part of the United States. We wanted our independence but America refused. Who are We? We progressed America forward with new technology, new science, new creations, new products, and new ways of doing things. Who are We? We had to work hard for long hours a day to help our families survive. Because we worked, we were unable to get an education. Who are We? We were the actors, musicians, writers, and artists who worked to improve life in urban areas by giving hard working Americans a way to unwind. Who are We? We bought food processed in factories. We often got sick and sometimes died because of improper handling of food. Who are We? We were the Progressive leaders of the U.S. who made sure that the laws and policies needed to progress America forward were in place. Who were We? We pass off so that you can prove you know and understand the lesson on your own before we move to applying, analyzing, creating, or evaluating the information. You get points for passing off because you are showing the level at which you know and understand the information of the lesson. You only have one shot at the pass off quiz. Make sure to check your answers before submitting. Did you read the lesson text and complete notes? Did you complete the group discussion questions? Did you complete the polls? Did you take the pass off quiz? Why Not? Don't Fail Lesson Module 15: The Oppressed. Finish Your 15th Mission! 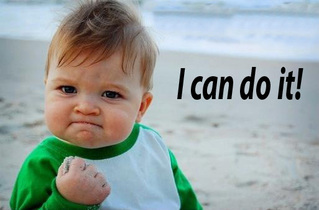 Get It Done Today! Congratulations! Victory is yours! You have completed Lesson Module 15: The Oppressed and have succeeded in your 15th Mission!